One of the most notable features in the appeareance of this unique high speed burnisher is its wrap around engine filter and streamlined head cover. The head cover creates a more public friendly aesthetic while the wrap around engine filter reduces filter cleaning by more than 50%! A dust collection system reduces your labor hours by using a passive vacuum system that traps minute particles of debris generated during ultra high speed burnishing operations. The innovative technology uses the rotation of the pad to direct dust into an easy access recovery bag. The SafeSense™ Emissions Monitoring System offers the only technology in the floor care industry that automatically shuts off the propane engine before emissions reach dangerous levels. Quick release strap lets you change out your propane tank easily and quickly. Catalytic muffler minimizes emissions and exceeds both EPA and CARB minimum requirements. Propane burnishers of any kind should always be used in a well ventilated facility to ensure operator safety. 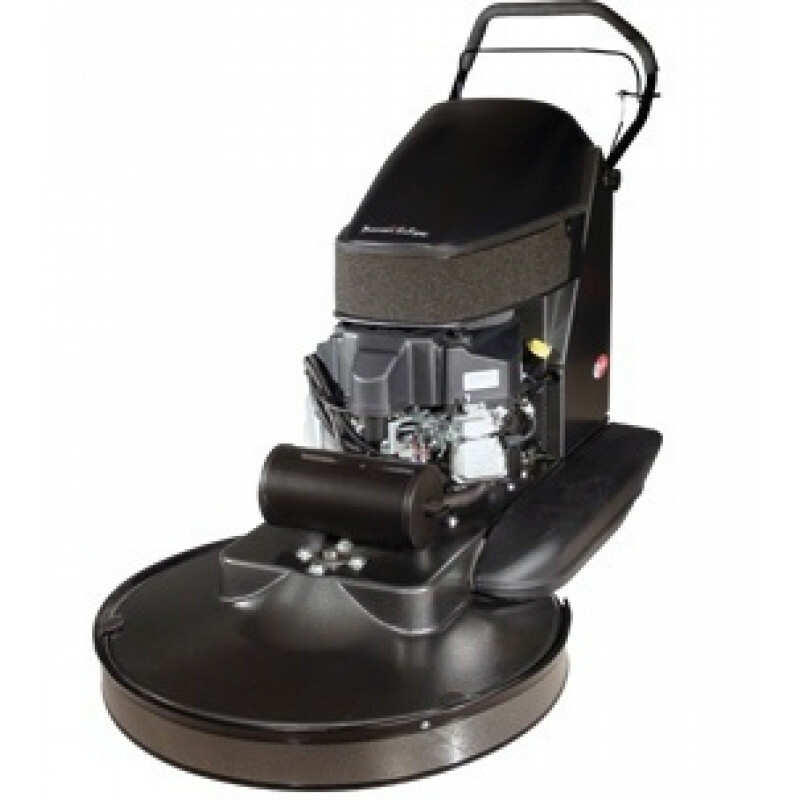 For other options that are less expensive, take a look at our electric floor burnisher buffers. RokBak™ action allows for quick and simple pad change. Easy access filters for quick and easy cleaning. 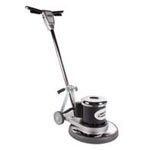 Triple anchor adjustable welded handle for long lasting maneuverability. Soft tread 2” (5 cm) adjustable wheels for smooth operation and tool free pad pressure adjustment. SafeSense™ Emissions Monitoring System automatically shuts off the propane engine before emissions reach dangerous levels.